All Pro Tampa Wildlife Removal is a fully licensed and insured wildlife control company, servicing the greater Tampa Bay area. We specialize in the removal and prevention of nuisance wildlife. We most commonly deal with wildlife conflicts in the home - such as raccoons or squirrels in the attic, rat control, and removal of bats in buildings. We handle any sort of pest animal issue, and also deal with opossums, armadillos, snakes, pigeons, and more. We aim to provide permanent solutions to wildlife problems, and we believe in prevention. If animals are getting into a building, we find out how the animals got in, and seal those areas shut. Our repair work is of the highest quality, and we give a guarantee on our work, that no more animals will get back in. We fix your wildlife problem right, the first time, and we do it better than any of those expensive big-name franchise companies. We deal only with wildlife, and we are the foremost experts in Tampa. Wildlife Removal From Attics - Our specialty: if you've got scratching and thumping in your attic, we will remove the nuisance raccoons, squirrels, rats, or whatever critter you have up there, and we'll make sure it doesn't happen again! We'll even clean up the waste that they've left behind and repair any damage. General Critter Trapping - Whether it's an armadillo digging next to your house, a raccoon raiding your garbage can, or an opposum living under your shed, we will humanely trap and remove the animals, and relocate them far away, without harm. Where possible, we will provide prevention services as well. Damage & Exclusion Repairs - The most important step - if you've had animals in your house, the only way to solve the problem permanently is to find and completely seal shut all of the areas of entry. Our exclusion repairs are of the highest quality, usually with steel, and come with a written guarantee! Attic Decontamination - Wildlife often leave biohazardous waste in your attic, such as droppings, urine, grease and oils from their fur, food, and parasites. We clean this mess up and eliminate the health risk. We also deodorize, to eliminate odors that attract new wildlife. Attic cleanup is an important step. Dead Animal Removal - A situation that we deal with every day - animals die, often inside of homes. From rats in the walls to opossums under houses, decaying carcasses cause a terrible stench! We find and remove the dead bodies, repair any holes that we have to cut, and get rid of the smell! 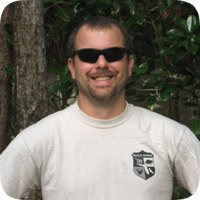 Owner Mike Spanola is fully licensed and insured in the state of Florida, and carries full liability insurance. We are of the firm belief, having dealt with several professionals in many fields, from plumbers to electricians to roofers, that a small, privately owned, owner-operated business yields better results at better prices than large companies. The larger wildlife trapping companies typically hire unmotivated employees with inadequate training. The company charges high fees, and keeps most of the money, and the employee is not motivated to do good work. If you call my company, you will deal directly with me from start to finish. I charge much lower rates (with no hidden fees), and my quality of work is second to none. From a large colony of bats in a hotel to rats in a home or just a simple snake in the pool, I handle every nuisance wildlife situation professionally and with 100% guaranteed results. I operate 24/7/365. Unlike the other companies, you can call me on a Sunday night, and yes, I will come to your property. Finally, I take great care to treat all the wildlife that I capture with respect, and humanely, which isn't something every Tampa animal control company can say. Give me a call any time at 813-404-7033, and I will be glad to help you. Tampa Bay wildlife control tip of the month: Do Tampa snakes hybernate? While snakes are quite unusual in many ways, it is their sleeping habits that add to the oddity of these reptiles. Most snakes do not have eye lids which means that they sleep with their eyes open. This can be quite disconcerting if you come across one, because you are never really sure if the snake is actually asleep is not. This is how a large number of victims have fallen prey to these creatures, as they mistakenly took a motionless snake as one that was asleep and didn�t survive much more than a couple of minutes past the time that they realized that they made a really bad mistake. The ability to be asleep while having its eyes open is not the only thing that makes this creature a little more unusual than most. Another is that snakes are prone to hibernate. This seems odd for a reptile, but they will go dormant for several months each year. Consider that those snakes that live in climates where it is warm practically year around, such as here in Tampa, don�t need to hibernate. Snakes such as pythons and boas live in tropical climates, so there is no need for them to be hibernating because it is quite warm no matter what time of the year you are talking about. However, when you start talking about areas where it can get quite cold then you will find snakes that do hibernate. Places like Minnesota, Montana, Iowa, Wisconsin, and Colorado can get incredibly cold in the winter, yet can be extremely warm in the summer. This means that the snake will be able to enjoy the warm weather of spring and summer, but as winter approaches it needs to take action to stay alive, and hibernating is the best option for it. Depending upon the kind of snake that you are talking about and the location of the snake, hibernation can be a relatively short period of time or it can last several months. Most snakes begin the hibernation process about December and it usually lasts until about March or April. However, there are those snakes that can hibernate as early as September and will go until late April. The primary factor is temperature. When the temps drop to lower than 60 degrees on a regular basis then the snake will go to hibernate. It will stay in hibernation until the temp starts to rise to a point where it is warm enough for the snake to be able to survive in the warmer weather. Hibernation means that metabolism will dramatically slow down. The snake will breathe quite slowly, and it will go through digestion at a very slow rate. Since the temperature of the animal is very low, the snake is able to survive in this state for months. Full page: Do snakes hybernate?